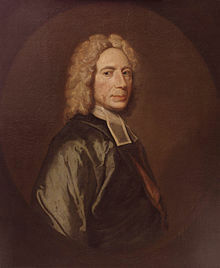 Isaac Watts (17 July 1674 – 25 November 1748) was an English hymnwriter, theologian and logician. A prolific and popular hymnwriter, he was recognised as the "Father of English Hymnody", credited with some 650 hymns. Many of his hymns remain in use today, and have been translated into many languages. Watts was born July 17, 1674 at Southampton, England, the eldest of nine children. His father was a Dissenter from the Anglican Church and on at least one occasion was thrown in jail for not following the Church of England. Isaac followed his father's strongly biblical faith. Isaac was a very intelligent child who loved books and learned to read early. He began learning Latin at age four and went on to learn Greek, Hebrew, and French as well. From an early age Isaac had a propensity to rhyming, and often even his conversation was in rhyme. For a few years Watts served as an assistant and then pastor to an Independent congregation in London. A violent and continual fever from which he never recovered forced him to leave the pastorate. Sir Thomas Abney received Watts into his home, and Sir Thomas' family continued to provide a home and serve as Watts' patrons for the next 36 years! Though naturally quick to resentment and anger, the Lord used Watts' sufferings to produce a gentle, modest, and charitable spirit. Out of his compassion, one-third of his small allowance was given to the poor. Watts' tenderness to children can be seen reflected in his lovely Divine Songs for Children, published in 1715. Watts' most published book was his Psalms of David, first published in 1719. In his poetic paraphrases of the psalms, Watts adapted the psalms for use by the Church and made David speak "the language of a Christian." 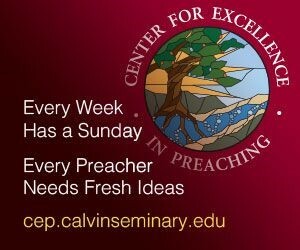 Examples of Watts' method can be seen in his paraphrases of Psalm 72 into the hymn "Jesus Shall Reign Wher'er the Sun," Psalm 90 into "O God, Our Help in Ages Past," and Psalm 98 into "Joy to the World." Benjamin Franklin first published Watts' psalm paraphrases in America in 1729. Franklin was not the only American publisher to take an interest in Watt's hymns. In Boston his hymns were published in 1739. They were well-loved by Americans of the Revolutionary period. Besides over 600 hymns, Watts published 52 other works, including a book of logic used in the universities, books on grammar, pedagogy, ethics, psychology, astronomy, geography, three volumes of sermons, and 29 treatises on theology. After his death on November 25, 1748, a monument to Watts was erected in Westminster Abbey. 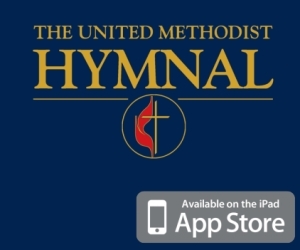 His greatest monument, however, are the hymns to his God still used by Christ's church. Divine and Moral Songs for Children became a ubiquitous children’s book throughout England for nearly two hundred years. By the mid-19th century, the book existed in over a thousand editions. So well-known were some of the children’s poems that Lewis Carroll parodied them in Alice in Wonderland and Charles Dickens referenced them in David Copperfield. Modern readers (or singers), however, remember Watts’ songbook not so much for its rhymes for children, but for its hymns. For many Christian families throughout the English-speaking world, Isaac Watts—author of “Joy to the World” and “When I Survey the Wondrous Cross”—remains a household name.